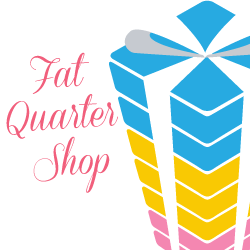 In the past couple of days I've received a lot of questions about how I made my bonus project from the Fat Quarter Shop's Fat Eighth Frenzy quilt pattern. So I wrote up a quick tutorial to show you how I did it. 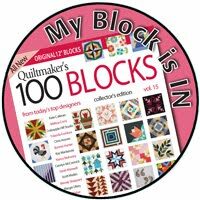 The technique is a pretty handy one to keep in your toolbox of quilty ideas! I remember a little over a year ago I was admiring an intricate-looking quilt top at a local shop and the woman who made it kindly explained this technique to me. I've been itching to use it ever since. First of all, take all of the leftover triangles from the Fat Eighth Frenzy quilt. Pair them together so there is good contrast between the two (i.e. light / dark or solid / print). Sew the two triangles together and press open to make one half square triangle. Trim the half square triangles. Mine were all about 8” (give or take a bit) so I trimmed them down to all be 7.5”. My big Bloc Loc ruler makes quick work out of trimming HSTs! You’ll need 30 trimmed HSTs for this project. If you have fewer HSTS, you could make a smaller quilt, a table runner version or even a throw pillow. Next, cut each HST into three equal strips of 2.5” each. Keep in mind that the direction of the HST will matter in the end! Cut half of the HSTs facing in one direction and the other half facing the other direction, as shown in the diagram below. Now working with the strips from just one of the sliced up HSTs, leave the center strip where it is and swap the two end strips. Using a 1/4” seam, sew them back together. This block should measure 6.5” x 7.6”. 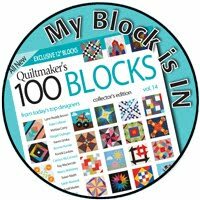 Repeat these steps to make all 30 blocks. Sew the blocks together into rows, and then sew the rows together. Time for borders! Measure the length of two sides and the length through the center of the quilt. Find the average of that number and cut two inner border strips to be 2.5” by the average length. Sew those to the sides of the quilt top. Next measure the top and bottom of the quilt as before, cut inner border strips to that length (and 2.5” wide) and sew to the top and bottom of the quilt top. Repeat to add the outer border. The outer border should be cut at 5” x average length. Baste, quilt and bind as desired! If you make your own Stair Steps quilt I’d love to see it! 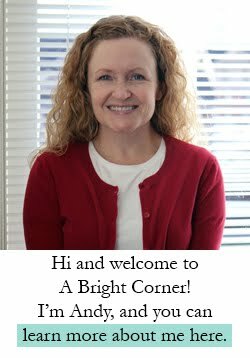 Tag me on Instagram (abrightcorner), shoot me an email or add your photo to the Sewing with A Bright Corner flickr group. Lovely! On my list. Thank you for sharing the technique. Thanks for the great tutorial. It's a great trick to know how to use up HSTs. You just blew my mind, I've a whole stack of larger HST's(miscalculations of a older quilt) that would be great for this tutorial. Thanks! I love this pattern! I've now pinned and bookmarked it! It's gorgeous in blues and browns.... Thanks for sharing the tutorial! Thank you so much for posting this tutorial! I was so impressed with your extra project that I have to do it!! You are so talented and your work is so neat...I have definitely become a follower of your blog. Thanks again for sharing..love, love, love it!!! 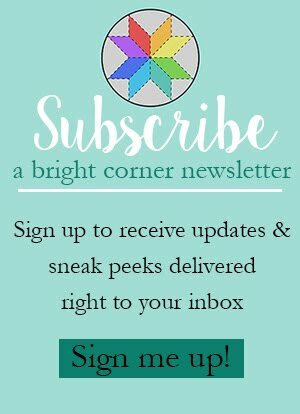 I wondered how you made your bonus quilt out of excess half square triangles! 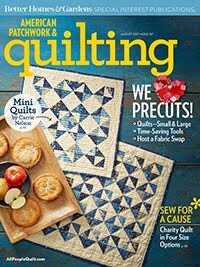 I've been quilting for many years but could not figure it out. Thanks so much for sharing the technique. THANK YOU so much for posting this tutorial. I loved this "Bonus" quilt the best from all the samples in the blog-hop/tour. I really appreciate you sharing this technique which looks so complex, but is really pretty easy! 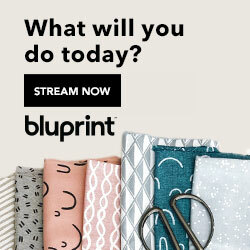 This reminds me of a pared down Delectable Mountain quilt block! such a fabulous quilt! thanks for sharing the tutorial. So clever, I love it, all from HST. Thank you so much for the the Tutorial.